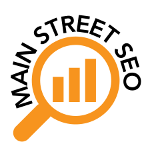 At Main Street SEO the main goal is to provide SEO services to local Connecticut business, help increase your website visibility and local traffic. Which means your website will receive more new visitor traffic from your local market via search engines like Google, Yahoo, and Bing. The Local SEO process is lengthy and requires a lot of time and experience. At Main Street SEO in Connecticut we specialize in local SEO, local search engine optimization. Together with SMO, social media optimization and SEM, search engine marketing we design a blueprint targeting specific search terms that customers are using to try to find you. We drive local traffic to your website and help you dominate your local market. We get potential clients that use search engines to find local products and services in your area and place your site directly on the first page of results. Connecticut Local SEO services tells search engines like Google, Yahoo and Bing why they should give your website the best positions in the search results for your blog or website so that it will show up on the 1st page of search results.